Melatonin is a hormone derived from the amino acid tryptophan. Melatonin is primarily synthesised by our pineal gland and released mostly at night to make falling asleep easier. In addition to healthy sleep support, melatonin has strong antioxidant properties and has been shown to support immune health, and healthy brain function, and more. Melatonin has a beneficial impact on the immune system – it activates T-helper cells, which trigger other immune cells to boost immune system response to foreign molecules. Age-related cognitive decline may be directly correlated to melatonin levels. Melatonin supplementation can help support the brain’s normal antioxidant protection, and help inhibit factors that can lead to cognitive decline. 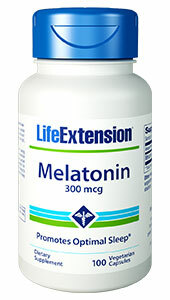 Support optimal sleep and well-being – Add melatonin to your health regimen today!